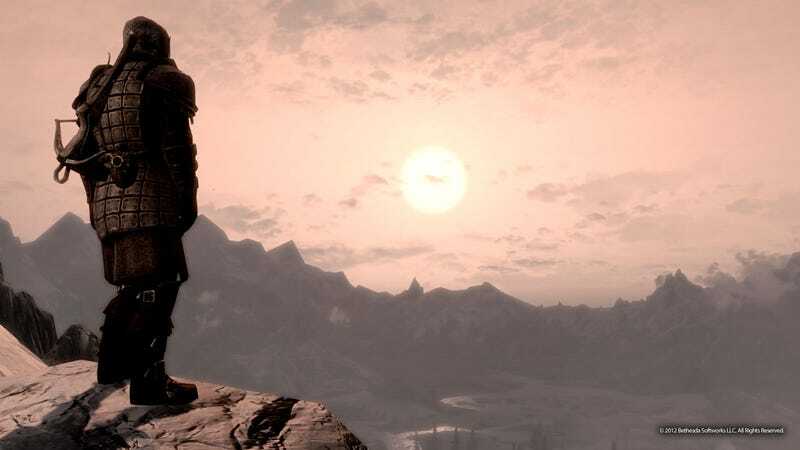 The folks behind Skyrim say they're off to the next adventure, which could very well mean there's no more content planned for Bethesda's massive role-playing game. In a blog post today, Bethesda's Skyrim team writes that they're moving on: "For the last year and a half we’ve been working on new content for Skyrim; from the game updates, Creation Kit, Steam Workshop, Kinect support, to DLCs. Parts of our team have also been in pre-production on our next major project, and that game is at the point where it requires the studio’s full attention to make it our biggest and best work yet. "Even though we’re moving on, we’ll still have minor updates to Skyrim as needed. We’ve invested so much of ourselves into Skyrim and will never truly say goodbye to it." Does that mean no more downloadable content? Bethesda has released three DLC packs so far—Dawnguard, Hearthfire, and Dragonborn—and only Dragonborn really felt like the expansion pack-sized DLC promised by lead designer Todd Howard. We've reached out to Bethesda for confirmation, but it sure sounds like there's nothing else coming. UPDATE: Bethesda marketing VP confirms that there's no more DLC coming to Skyrim.